Loving an elegant black & white palette this week, and the supper-club feel of this save the date is feeling just my speed. 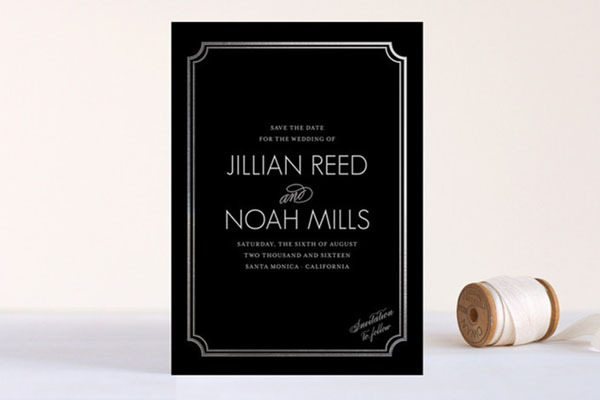 Modern Classic foil-pressed save the date by Annie Clark for Minted. Oooh I love the all black invitation. Very Gatsby! 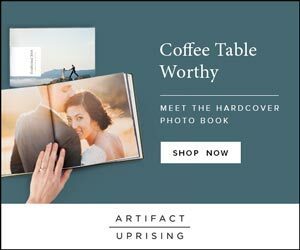 YES–it's practically begging for beaded headpieces and champagne coupes! i love the font that was used for the names!